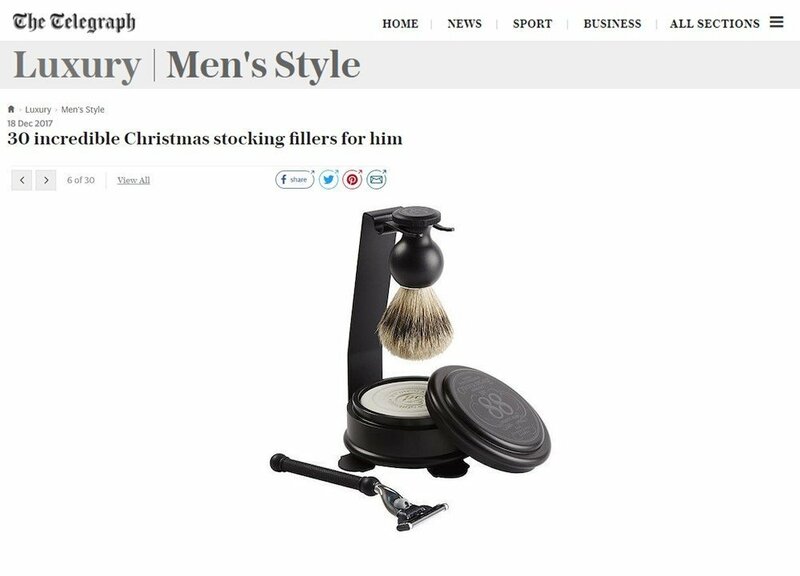 The Telegraph Luxury features for their “30 incredible stocking fillers for him” gift guide the No.88 Shaving Set and Stand. A staple of luxury grooming and elegance, the set is sure to serve and impress. See the whole list from the publication here.